Alimony, often referred to as maintenance or spousal support, is a payment made by one ex-spouse to the other. While the concept is simple its implementation is often very complex. Spousal support determinations involve the application of state law and financial awards create a need for good financial and tax planning. The issues of primary importance concerning alimony are whether payments should be awarded and, if so, for what amount and what duration? What is the purpose of alimony and spousal support? There are several reasons behind the law providing alimony and support payments after a marriage ends. When two people enter into a marriage, there are times when one spouse will need to make sacrifices in order to help the household thrive as a unit. One common example is a wife who puts her professional career on hold for several years in order to raise the family’s children. The law recognizes that this sacrifice has a value and that assistance may be appropriate to the spouse in a more challenging position. Alimony is not limited to women and men may request spousal support and maintenance where and when appropriate. Under what circumstances is alimony awarded? Other support obligations, such as one spouse’s support obligations from a prior marriage and divorce. Your state law may define a specific list of factors which may include, add or omit the items enumerated above. 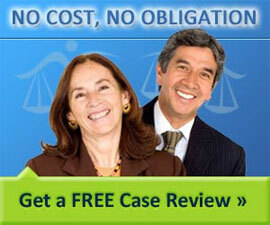 How much will a judge award in alimony payments? The amount of alimony generally awarded to a receiving spouse should cover payments for necessities such as food, clothing, shelter, healthcare, insurance and transportation expenses. The factors listed above will be taken into account when determining the amount for payments, if appropriate, as well as the duration. There are no specific circumstances or set facts under which a judge is required to either grant or deny alimony and spousal support. A judge must be convinced that a spouse requires alimony payments. After an award for alimony is granted, the other spouse can petition the court at a later date to reduce the amount and duration of the payments. Alimony payments are usually made periodically, most common being monthly. Lump sum payments are rare and usually made pursuant to an agreement between the spouses. Periodic maintenance payments can serve as a bitter reminder to a paying spouse. A single lump sum payment may be preferred by a spouse who wants to put both the marriage and the divorce entirely in the past. A difficulty involved in such an agreement is the negative tax consequences to a spouse receiving a large, on time payment. Before confirming an alimony and spousal support settlement, you may wish to consult with an experienced divorce lawyer and accountant or tax planner. Structuring your support payments in advance can help you minimize tax liability. Excellent report. Gave some much needed information that I had been trying to get for along time. Thank you.